Karate – As one of the oldest martial arts, the origins of indigenous okinawan karate or ‘te’ was developed for self defence. 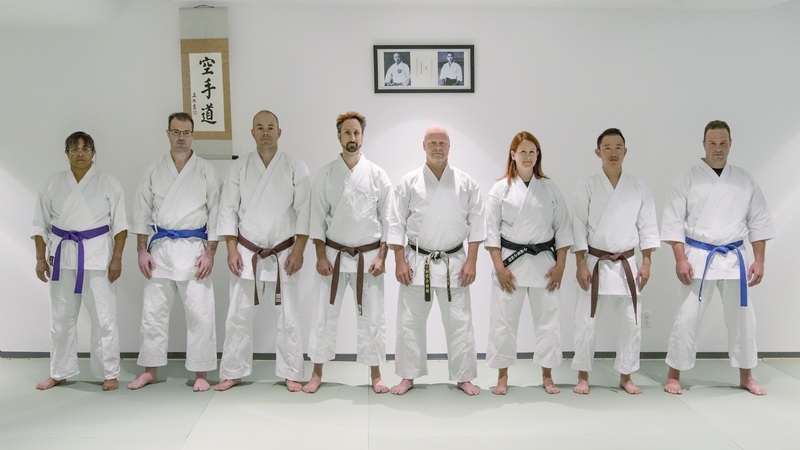 Karate application relies on a deep understanding of anatomy, physics, and biomechanics. Karate practice, specifically ‘kata practice’ is the way to condition oneself and begin to understand the deeper, and in most cases the hidden techniques of self defence. Aikido – The core principle of aikido is to never use force against force, and to accept, harmonize, and steward outside forces to a peaceful resolution. Aikido is about always staying balanced, in an unbalanced world; and to use this ability to create connection and relationship. 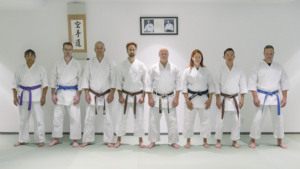 ‘Beginner +’ Our 8 week beginner + plus program consists of private 1-on-1 lessons with Sensei, a specific beginner cohort welcoming and orientation, and a mentored transition into our regular classes. All at a special discounted beginner rate.